From Alaska to New Zealand and Hawaii to Africa, Gary's hunting trips have brought him all over the globe. As a writer, Gary takes a pen and paper to every part of the world he's been to, and he's been able to record hunting experiences that bring you right into the action with him. For hunting enthusiasts, this resource—hunting articles from all over the world—will be extremely helpful in planning your next trip! The article sections are listed below, to help you figure out where you want to visit on your hunting adventure. Want to stay in the states? Gary has articles from Alaska, Arizona, California, Hawaii, Idaho and Wyoming. Planning on going international? He also has articles from Africa, Canada and New Zealand for your reading pleasure. Where will you go? Don't limit your hunting travel experience! Read up on some of the different hunting locations you can travel to, and head out on your own hunting adventure. During Gary's many trips to the African continent, he's gained a lot of experience! If you're going hunting in Alaska, you'll want to read up on Gary's experiences first! Gary's exciting hunting adventures in sunny Arizona. Gary's articles can help you get started on California hunting! Gary shares about his Canada hunting excursions. Read Gary's stories about recent hunts in Hawaii! Hunting in Idaho with Gary. If you're looking to go hunting in New Zealand, check out these articles! Learn from Gary's experience with hunting in Wyoming. Ready to hunt in the Pacific Northwest? Why not give Washington hunting a try? 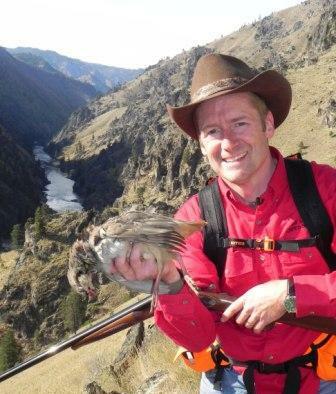 Take a hunt in Washington and experience the beauty of the West Coast!